There's a new kid on the block...of the Dublin whiskey scene, that is. 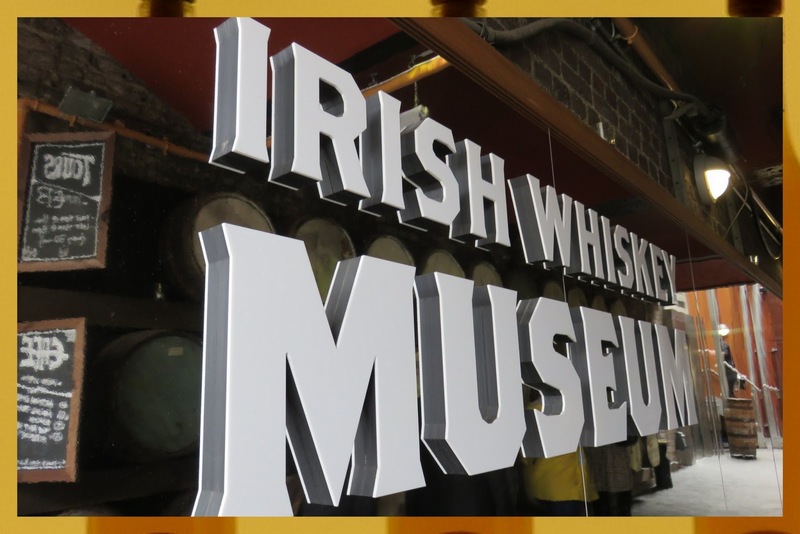 The Irish Whiskey Museum recently opened its doors on Grafton Street just across from Trinity College in Dublin City Center. 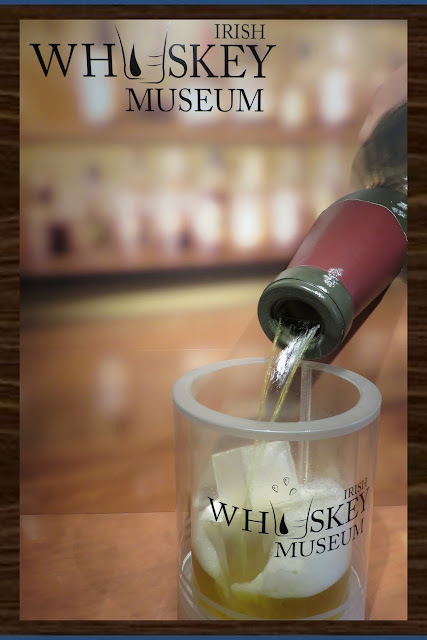 The museum represents the first and only brand agnostic exploration of the Irish whiskey scene. We ducked in off the street and the hustle and bustle faded away as we passed a large 'Irish Whiskey Museum' sign and climbed the stairs to the exhibit. 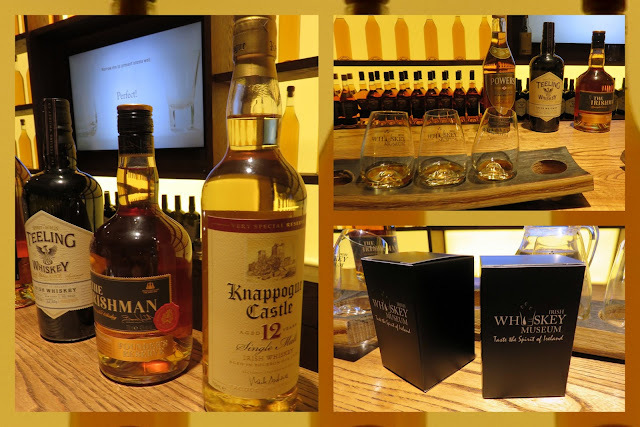 While we waited for our tour to begin, we eyed the list of whiskies we'd be tasting. The standard tour comes with three samples to taste at the end. The VIP tour includes an exclusive fourth whiskey tasting. The whiskies on offer change regularly so no two trips to the museum are the same. Our tour guide, Aidan, led us into the exhibit and introduced us to Uisce Beatha, the Irish term for whiskey which literally means 'water of life'. Monks in the early middle ages coined the phrase in reference to the distillation of alcohol. 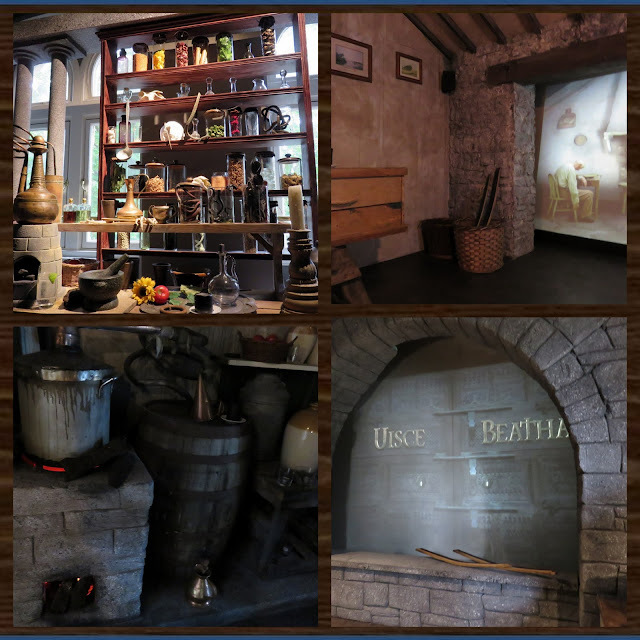 As we progressed through the first two rooms, we watched a couple of short and humorous videos and got acquainted with the history of whiskey making through the ages and the techniques and equipment used to make this most Irish of beverages. We soon emerged into a bright Victorian-style pub. Portraits on the wall came to life and told the story of the power players on the Irish whiskey scene. In the early 20th century, one third of the workforce in Dublin was employed directly by the drinks industry and their direct suppliers. The industry was booming. I found it fascinating that each worker received a measure of whiskey (the small green bottle in the photo below) at the end of each day. Could it be that a whiskey a day keeps the doctor away? The 20th century was a tumultuous one for Irish Whiskey. The final room of the museum highlighted the rise, fall, and ultimate rise again of Irish whiskey. At the turn of the century, Irish whiskey was the best and most sought after in the world. Progress in production methods (embraced by the Scots), Prohibition, and two World Wars conspired against Irish whiskey until only a few distillers remained. Today there has been a resurgence in the Irish whiskey scene with new distillers setting up shop all over Ireland. It's a great time to be a whiskey drinker in Ireland. 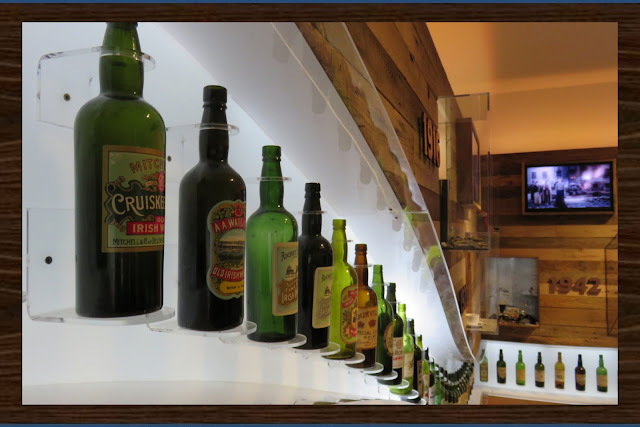 Just like at the Guinness Storehouse and Jameson Whiskey Experience, The Irish Whiskey Museum saved the best for last. Time for a tasting! We were carefully led through each sample noting the different essences on the nose and flavors hitting different parts of the tongue. We were advised when to add water and when to drink the whiskey neat (there is a sweet spot for alcohol percentage that allows the optimum flavor of the whiskey to emerge). As part of our VIP tour, we even got two whiskey glasses to enjoy at home when we're in the mood for a wee dram. After our whirlwind tour (the overall experience including the tasting lasted a little less than an hour), we took a quick peek in the cafe on site. 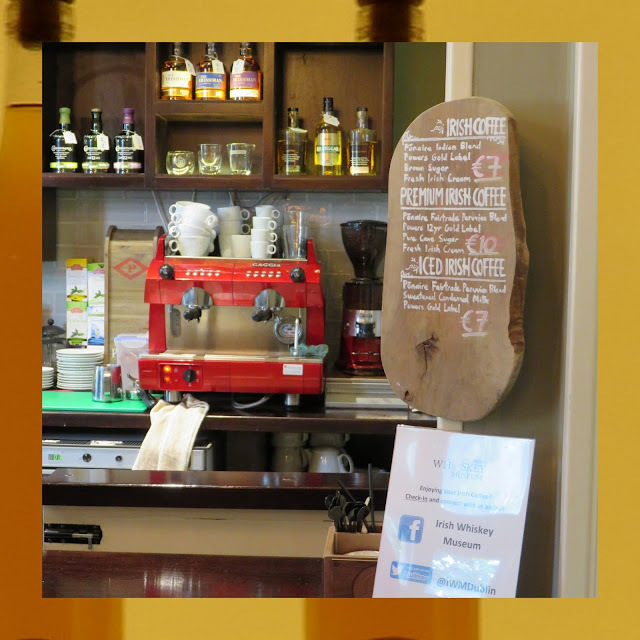 We watched the bar man create perfectly crafted Irish coffees for all takers. 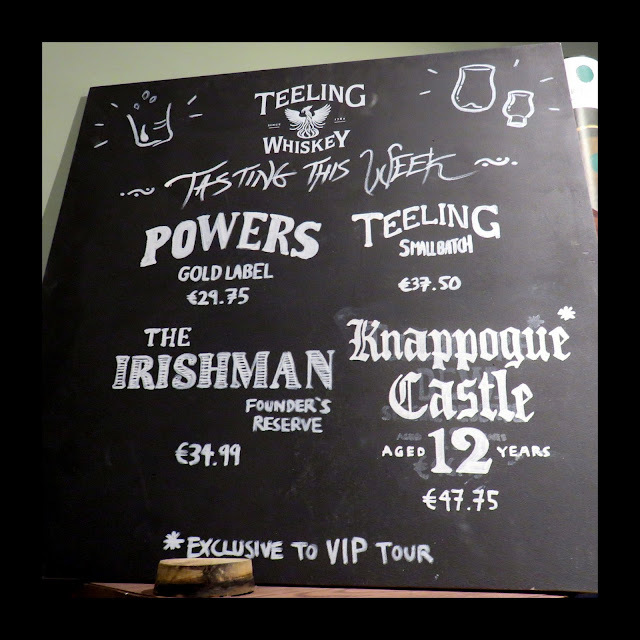 The Irish coffee is not included in the price of the tour but the Irish Whiskey Museum definitely looks like a good place to get one. We did our tour late in the day and I didn't want to be up all night so we decided to save this experience for another time. Thanks to the Irish Whiskey Museum for inviting us on the tour! The VIP tour normally costs 18 EUR and the Standard Tour 15 EUR (at the time of writing). 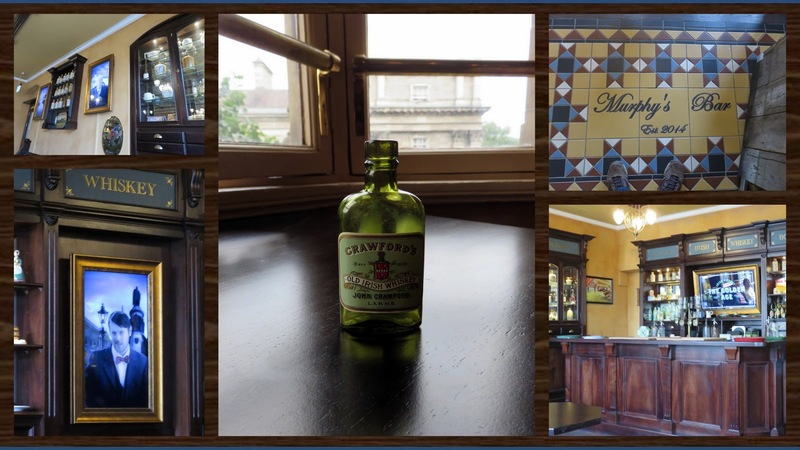 Disclaimer: The Irish Whiskey Museum sponsored my visit with a VIP tour for two. However, opinions expressed in this post are my own. Review of the Irish Whiskey Museum tour and tasting in Dublin, Ireland.